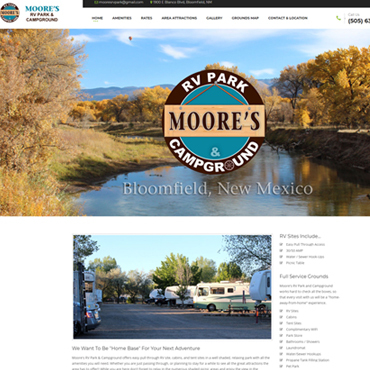 Once upon a time, Levi and Charlene Moore bought an RV Park in the Bloomfield/Farmington, New Mexico area. The park was in foreclosure and it had a less than impressive reputation in the area. The previous owners had a website but it was no longer active. Levi and Charlene renamed the park and started fresh. 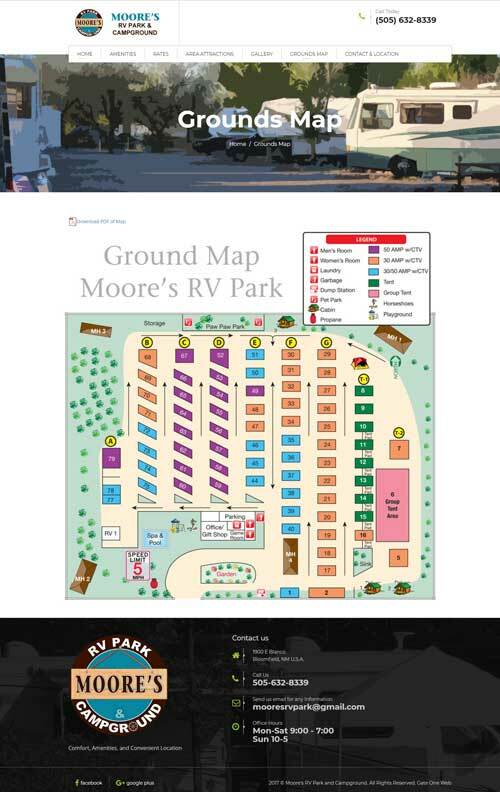 Gate One's goal was to help create content that would be informative and useful to Moore's site visitors. 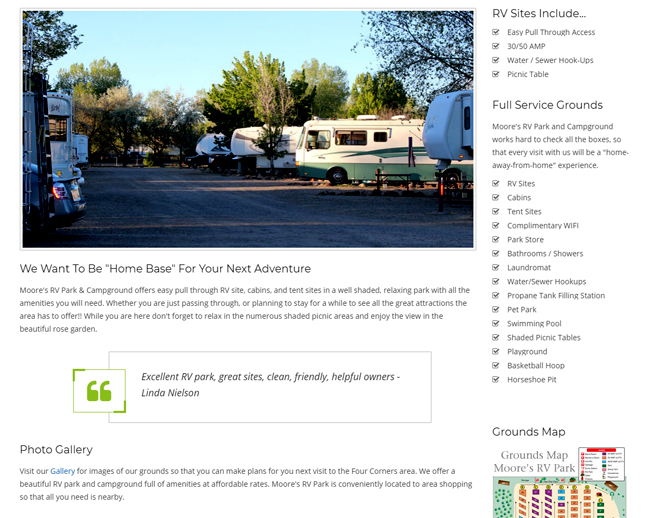 This would lead to increased bookings for rv and camp sites and cabins. This was easy because Moore's is an outstanding property, very attractive and inviting. All we had to do is use the website to showcase that fact. Plus, Charlene was proactive and eager to supply whatever we needed to create this type of content. 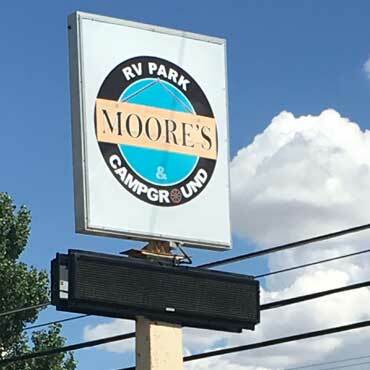 The Four Corners region of New Mexico, Arizona, Utah, and Colorado is a popular tourist and RV'ers destination. 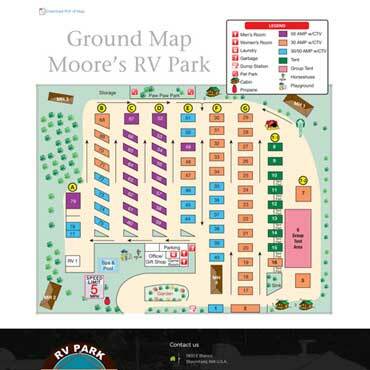 Which means there is an abundance of RV parks and associated websites. Therefore, our mission was clear. We had to create a website that stood out among all the others and said to it's visitors in every way possible, "Come stay with us!" 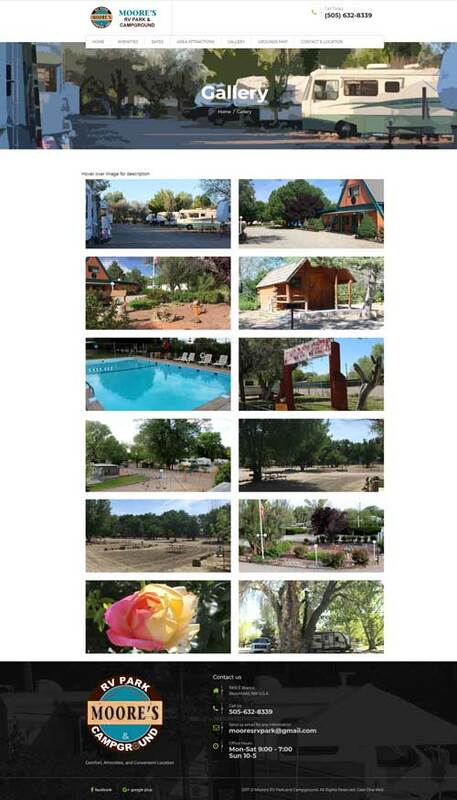 Photos highlighting Moore's attractive features: pool, plenty of trees, clean and well maintained condition, etc. 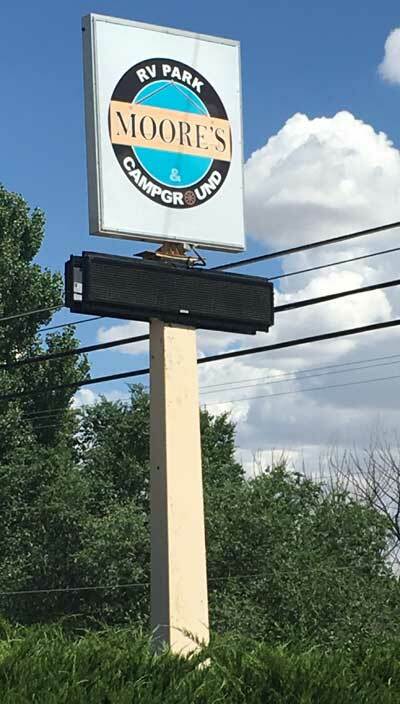 Clear image that demonstrates an RV site's drive through accessibility, easily manueverable for big rigs. A list of area events and tourist attractions along with links for more information. 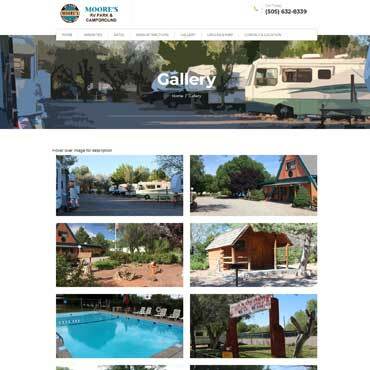 Interior pages artistic header created from one of Charlene's terrific property photo's showing a peaceful, shady lane of RV sites. Levi and Charlene needed a logo that would work well in many formats: print, online, and outdoor signage. They gave Gate One a small list of things they wanted to logo to have. We worked with their wish list through several versions until we came up with the logo they wanted. 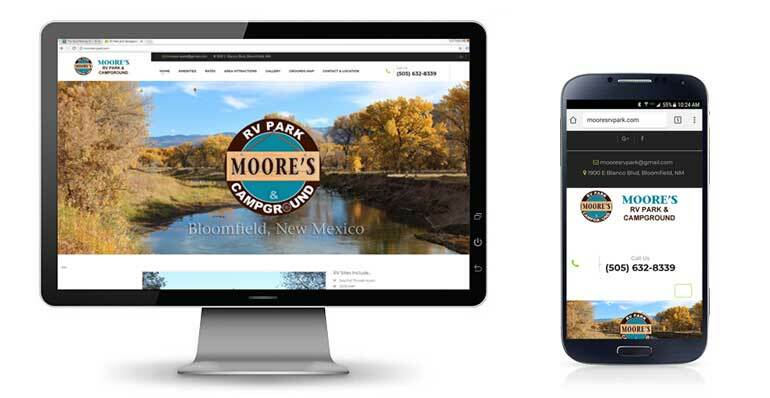 "Our new business website turned out great!! Robin was always so helpful and had so many great ideas! She was great at listening to what we really wanted and made it happen through an amazing website!!! "